Soot can be a big mess, especially if it has accumulated in your chimney. Fumes and the odours of smoke can linger in a house long after the fire has been put out, and damage from the soot can be irreversible. Where it is true that you can perform a level of cleaning on the chimney, only a professional can get the whole flue free from soot properly. If you have a chimney, then regular maintenance and cleaning of the flume can help in the reduction of soot accumulation. * Soot accumulation presents a health issue – As soot is composed of chemical particles with carbon being the main component, prolonged inhaling of the soot residue can produce respiratory illnesses. People who already have respiratory problems, such as those with asthma may find that the accumulation of soot can cause their condition to be enhanced (in the case of asthma you may require your inhaler more or experience more attacks). 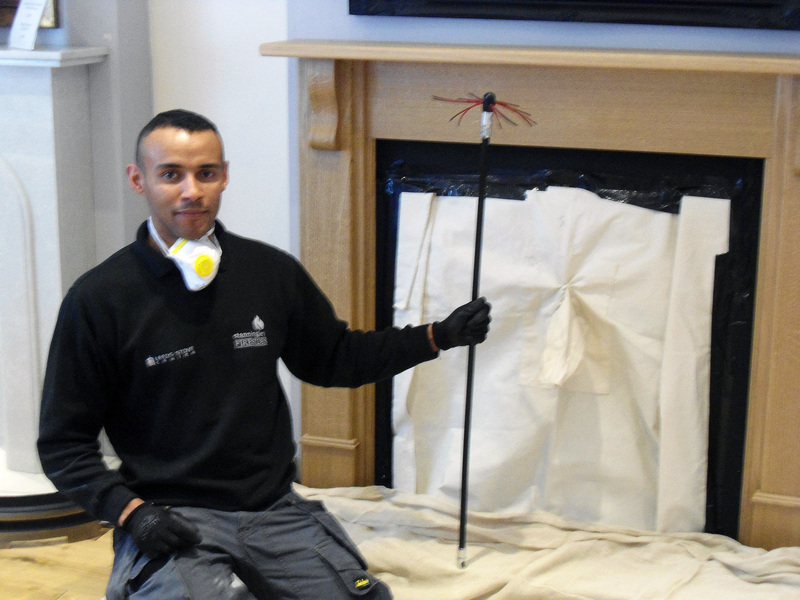 * Soot accumulation poses a fire risk – Soot accumulation on the walls of a chimney can pose a serious fire risk. As the soot builds in the chimney, it forms a layer of chemical particles which can ignite, if heated to a certain degree. This is especially a high risk for chimneys which use synthetic materials or gas. Where soot fires are less common than tar fires, it can occur if soot has been left to accumulate to an excessive level. * Soot accumulation can cause property damage – When soot accumulates in a chimney the smoke and additional soot needs to have a place to go. If your chimney is too obstructed with the soot accumulation, then the smoke and soot will exit by coming into the residence. This can be gradual or in a billowing black cloud. This thick black smoke can quickly and permanently damage drapes, furniture, and fabrics. Soot can also damage wall paintings and papers causing a tremendous expense. If your chimney is clogged due to an extreme buildup of soot, than trying to dislodge the soot yourself may cause a very large mess as well as pose a safety hazard to you if not dislodged properly. The main advantage of having the soot removed by a professional is to assure that all the soot is actually removed. If you are trying to remove the soot yourself, then the odds are that you will miss a great deal of the soot unless you have specialized equipment. A professional will clean your chimney of all soot accumulation. Clean chimneys pose a far less risk of fire, health issues, and damage to your property than those which are not. Also, by maintaining the cleaning of your chimney, you increase the overall life of the chimney. Even if your chimney is constructed out of brick and mortar, the lifespan is greatly reduced when soot and other chemicals are allowed to accumulate. Chimneys constructed of metal, aluminum, or other “thinner” materials may need to be replaced if the soot has caused holes within the structure. Consider, soot is composed of carbon and a great many other chemicals. These chemicals are corrosive in nature. Regardless of how well the chimney is constructed, having a corrosive component in constant contact with the chimney is sure to lower the structural integrity of the chimney. Regular cleaning and maintenance of your chimney will greatly reduce the probability that soot accumulation will cause corrosion. Depending on your location, the amount of soot which is extinguished from your chimney may be regulated. Cleaning your chimney will help to minimize the amount of soot coming out of your chimney. If you have noticed that your home has a smoke smell, or if you have seen that soot is accumulating within the chimney, you should have your chimney cleaned of its soot accumulation. Our team of professionals will work with you to ensure that your chimney is cleaned of all dirt and debris while maintaining practices and procedures to ensure that your home is not dirtied while we clean. If you have any inquiries as to the importance of keeping your chimney free from soot accumulation, to have your chimney inspected for soot accumulation, or if you wish to hire a member of our team to clean/maintain the removal of soot accumulation we at SM Sweeps would love to hear from you.